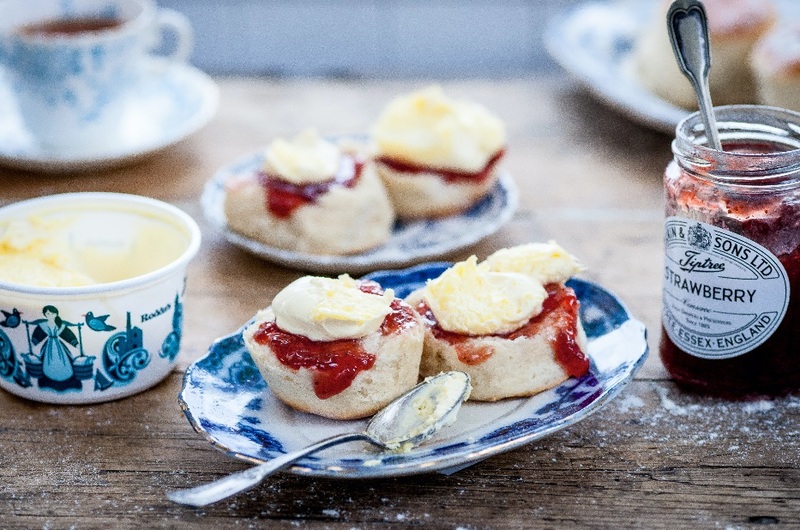 Here’s a scrumptious recipe for National Cream Tea Day on 24th June… or any other time you fancy! These scones not only have clotted cream served on them, but incorporated into them too. Light, fluffy and extra special to create as well as eat, they are a new take on the quintessentially British cream tea component. Brush the top of the scones with the remaining milk and bake near the top of the pre-heated oven for approximately 10-15 minutes until risen and lightly golden brown. Following the recipe and method above use a 2.5cm round cutter in place of the 5cm one to cut out and create approximately 25-30 little scones. Bake for approximately 5-10 minutes until risen and lightly golden brown.